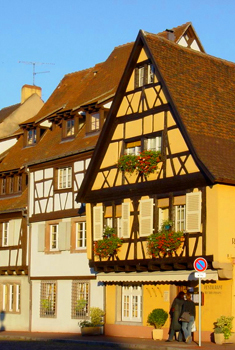 A mix of two cultures, due to control of the region passing back and forth between France and Germany multiple times, gives Alsace its unique personality and old-world charm. Colorful, storybook villages, refreshing wines and rich gastronomy, including their famous choucroute and foie gras, contribute to the robust flair of this region. Follow the beautiful Route du Vin, winding through the vineyards and villages for a most engaging journey.